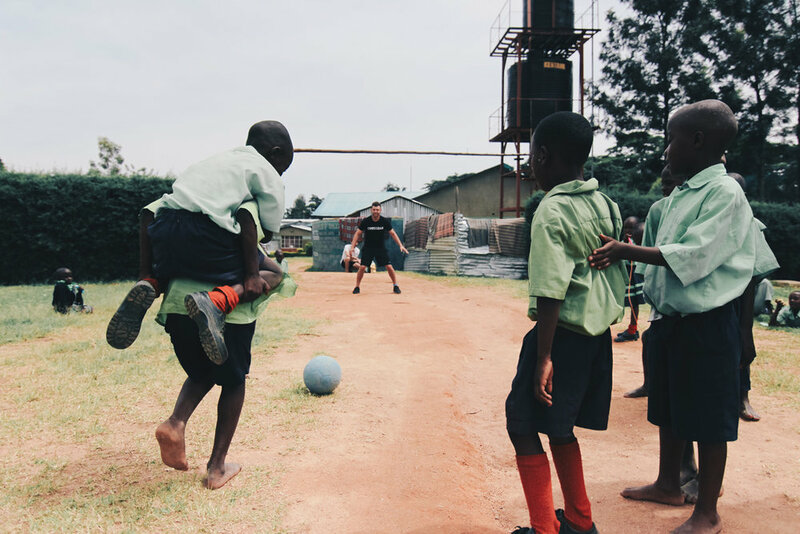 The next three days were much of the same kind of fun with everyday having its share of laughs, smiles and new friends...and of course soccer. Although I met so many kids, five pulled on my heart strings: Brevick, Alfiyo, Milly, Davey and Chelsea. Sometimes you meet people and they influence your happiness. Here I am in Kenya thinking I'm suppose to be bringing the happiness to them and it turns out they're bringing it to me. These guys made me EXCITED to walk out the door and see them. And I know that sounds well, average. But don't forget. We don't speak many of the same words. 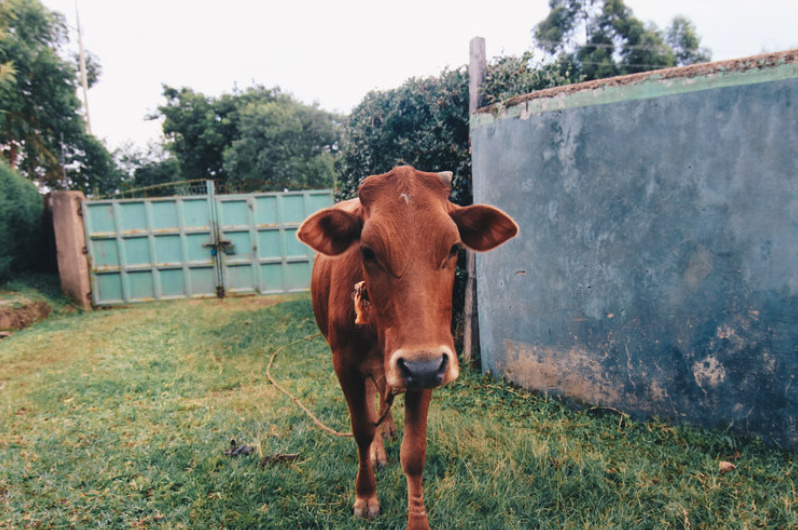 I've learned some Swahili and they've learned some English but our moments are brief in dialogue and rather exchange through an emotional connection fueled by an understanding or resemblance. I can look at Chelsea and make her laugh with just my smile. I can watch Brevik dribble the ball and wait for his eyes to meet mine with a giggle every time someone steals it away. I can run after Alfiyo and know exactly where he's headed - the back left of the soccer field where he protects his own little goal between two trees. I can feel Davey when he falls asleep on me and know his big exhausted breathes are coming soon after. And I can look at Milly and see myself - athletic, taller than all the boys, and quietly gravitating towards desired affection. SuRprising milly with a uswnt jersey donated by maddie morgan!!!! Besides my squad of mini-me's, I spent most of my time on the field. Whenever we were doing rec or music class, if there was a lack of communication due to the language barrier, I would just say "football???" and everyone would go NUTS. By the fourth day we were playing boys vs. girls every game. I wish I could just explain to you how relentless these kids were when playing but you honestly have to see it to understand. 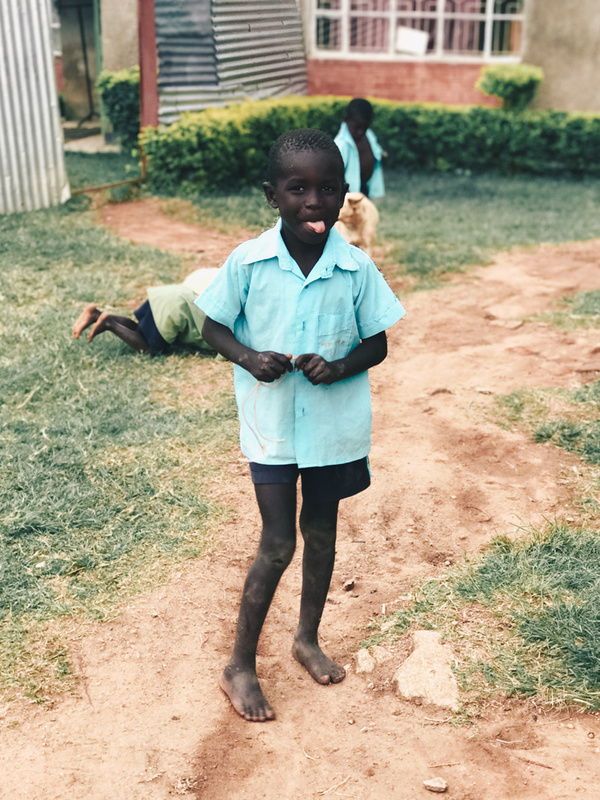 These kids have grown up their whole lives together at Tumaini, all 100 of them, so running full-speed at each other was, well, pretty normal. Oh, and trees? FORGET IT. What's a tree anyways?? It's with this "style of play" you can imagine how they go through soccer balls so quickly. There were five new soccer balls here when we got here and three are already busted!! For a moment that might make your jaw drop, especially when you find out how expensive soccer balls are in Kenya. When you're on the field with these kids watching them have the time of their lives over a game their inexplicably obsessed with, you cannot help but smile cheek to cheek and say "worth it." Friendly matches calls for my favorite SoccerGrlProbs Tee Shirt!! No matter where the field is, it always feels like home. On Wednesday night, Jordan and I organized the cleats with Hezbon. Hezbon is THAT guy at Tumaini. He's a driver, a technician, a chef, a shopper - you get the point. He's whatever you need him to be, whenever you need it. He carries himself with such kindness that he feels like a protector and a friend all at once. He kept a list of players coming in from around town for the tournament. When we finished matching up sizes, Jordan and I wrote out 100 cleat tags with the names of all the incredible people that helped us get here. That for me is one of my favorite parts. How awesome is it to connect two worlds like that, then be able to physically show one world how they changed the other. Moments in life where we genuinely appreciate connection to people we don't really know are a rarity, so I love that the cleat tag aspect of Cleats Count creates these. For a moment it reminds you that good-in-the-world still exists. I woke up early on Thursday to read by the window again. I didn't set an alarm or anything, I think my body just longs for the serenity here. As I sat engulfed in my current business book by Robert Herjavec (If you know me you know I'm either reading books about love or books about business. I guess to me they're one in the same). Anyways, Jordan interrupted my daydream as he walked into the room at 6:50am, "you ready?" "I've been waiting for you!" On our way back to Tumaini we did interval sprints (I was training for senior year preseason) that had kids hiding in the bushes. A "mazunga" running at you full speed ahead? Okay lesson learned. We are sorry!! Haha we couldn't help but giggle at that though. When we got back to Tumaini, Rose told us why they were scared of us sprinting. "People that far down the road have never seen a white person before. They think you are a myth." 1. I am so grateful for the things I have. I know it sounds cliche but there is a new depth to it ever since I've been going on these trips. And I don't mean gratitude like that silly saying "finish your food, there's people without it in Africa." I mean a genuine, eye opening, appreciation and thankfulness for the access I have to this world. How my world doesn't end at the edge of my street and how Ive been lucky enough to see enough of the world to know that no race is a "myth." 2. THIS is living. Running a business that calls for travel to the rest of the world rather than one that seeks material items has allowed me to fulfill something in me that I don't think otherwise could have been fulfilled. I've never been so sure that we are suppose to chase moment and relationships, NOT money. Experiencing another culture - their habits, environment and way of life is something you can only really appreciate when you experience it yourself. So, to anyone who thinks that your world ends at the acquisition of your big house, fancy car or comfort zone - you're dead wrong. You would be so surprised at all of the things you never even thought existed, all of the ideas you never considered (white people are a myth) and all of the human emotions you never thought you could reach. We are meant to live a life fufilled and we only have so many days to do it. So, as we say here in the Cleats Count headquarters - make it count.